Abstract handbook: the book of abstracts can be downloaded here. Conference dinner: 17 October at 20.00h in Restaurant La Berninetta, Via Pietro Cavallini 14, Rome, For a map, see p.2 of Abstract Handbook. Speakers: Each regular speaker will have a total of 30 minutes for their paper: 20 minutes for presentation and 10 minutes for discussion. Panel proposers can organize their session as they like, but we strongly recommend to leave sufficient time for discussion for each paper. Technical equipment: There will be laptops with projectors in each conference room. Book exhibition: There will be two large tables at the conference site where you can exhibit your latest work (both for speakers and other attendees). 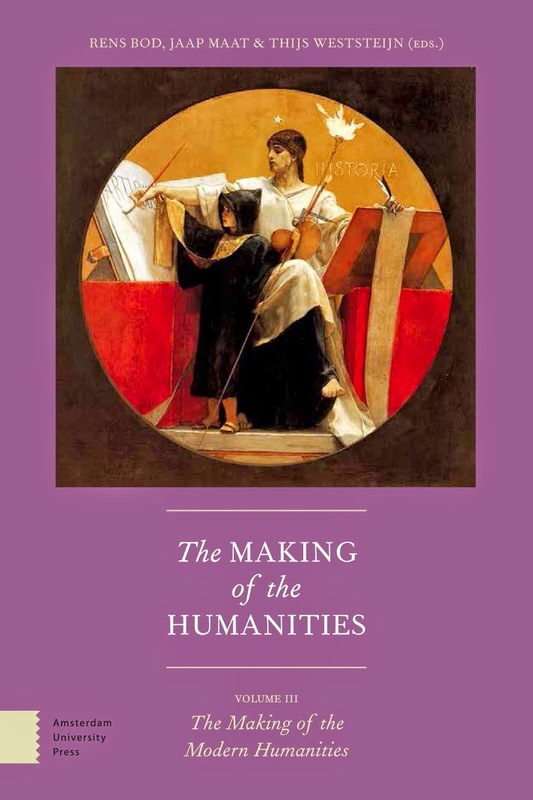 So if you like, bring your latest book and exhibit it at The Making of the Humanities IV! Payment: Please note that we cannot accept pin or credit card payments at the registration desk. Please bring cash for paying the conference fee and (optional) dinner -- see below under Registration for the exact costs. Travel: There are direct trains from Fiumicino airport to the center of Rome. Taxis to the city center will cost around 45 euro. For accommodation, see below.